Are Android L's floating apps a new feature or just a bug? With the formal launch of Android L fast approaching and preview builds already in developers hands we're starting to get some extra insight into what it might bring, beyond what Google's already announced. One such insight takes the form of floating windowed apps, which developer Terence Tuhinanshu has shown off in a video on Google+. Going by the video and the accompanying Reddit discussion it doesn't sound all that versatile, as it only allows one app to be open at once and the window can't be repositioned. Still, it's a start, unless it's just a bug. We've seen this sort of idea before from Sony, Samsung and LG, but until now it's never been built in to stock Android. 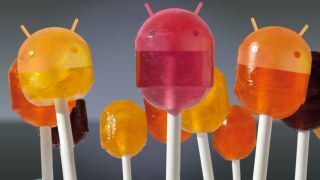 There's also news on the 64-bit front, as Google has just released a 64-bit Android L developer preview, allowing developers to get their apps ready for launch. 64-bit Android had already been announced, but it's nice to see that it will make it for Android L's launch and that many apps might already be updated from day one. Whether that will initially mean much for most users remains to be seen. In theory it could lead to improved performance, as apps will be able to access 64-bit instruction sets and more hardware CPU registers, but perhaps the biggest advantage of 64-bit architecture is that it allows for more than 4GB of RAM, which is something we haven't yet seen in a smartphone. While we might not see 5+ gigabytes of RAM for a while we should soon get a dose of Android L, as November 1 is being pegged as the release date. The Nexus 6 may arrive alongside Android L.